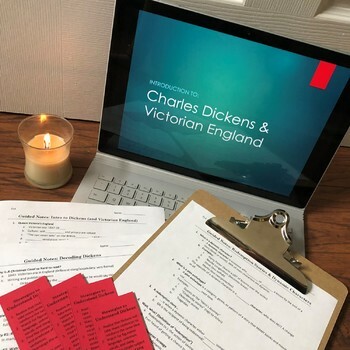 Want help starting your unit on A Christmas Carol with lessons about Charles Dickens, Victorian England, redemption stories, dynamic characters, and reading strategies to understand a challenging novella? 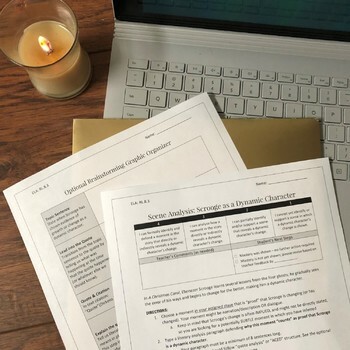 Use this set of THREE lessons AND a follow-up paragraph assessment to frontload the unit before it begins OR give students more information during reading. 4. 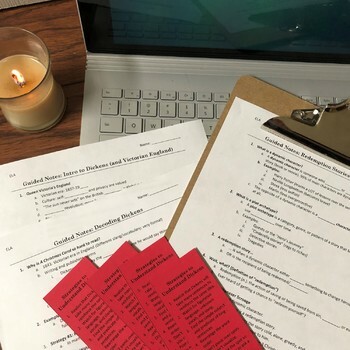 Scene Analysis Paragraph: students write a literary analysis paragraph in which they choose a moment from the story that they think counts as "proof" of Scrooge's change as a dynamic character. 3. A video of me teaching the lesson, in case you want to hear it before you teach it (or if you want to use the flipped classroom method). 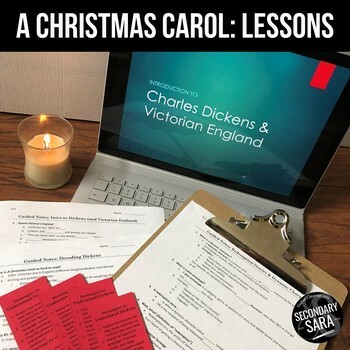 NOTE: Get this lesson in my FULL unit bundle on A Christmas Carol!